San Blas Beach is located 30 minutes away from International Airport of El Salvador, its is 5 minutes away by car from El Tunco and El Sunzal Beaches. And 30 minutes away from the City of San Salvador. 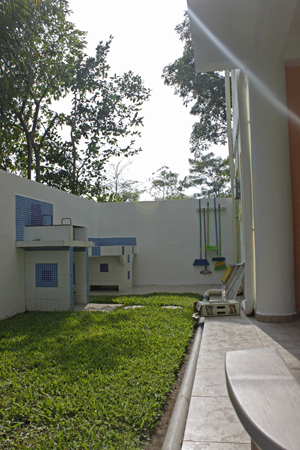 El Salvador is characterized by its good infrastructure. Roads are in good condition, there are gas stations in the main cities and towns. Malls, restaurants, supermarkets and different kinds of stores that go from selling cell phones to cameras, clothes and shoes are in the Town of La Libertad, which is 5 minutes away by car from San Blas Beach. 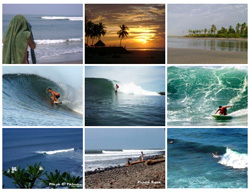 There are many beach houses in San Blas Beach. 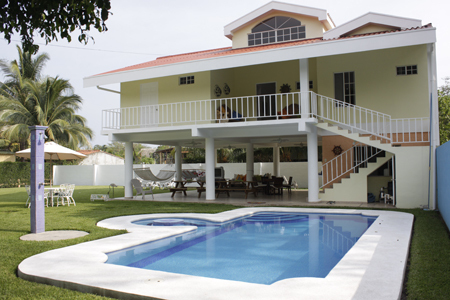 A construction company became interested in building a private complex of land and houses at San Blas Beach. 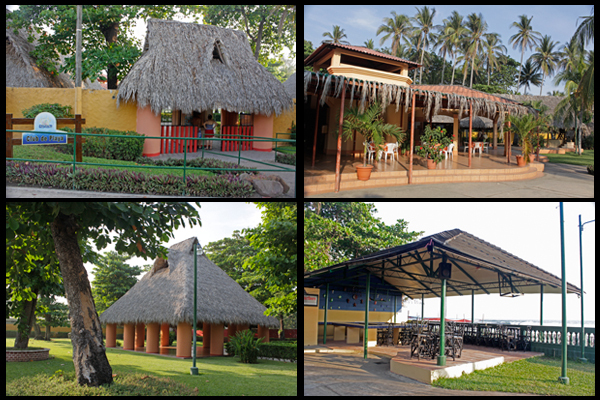 San Blas Beach Suburb has three clubs, called ranchos, for the common use of the community. These clubs have swimming pools, small bungalows and ranchs. Also, one of the clubs called CLUB DE PLAYA has instant access to the beach. 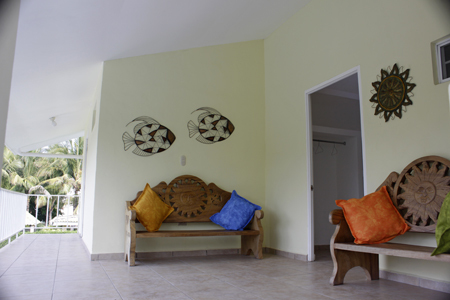 All these considering the convenience and comfort of the entire community of San Blas Beach Suburb. Every owner of land here is free to build any style of house he/she thinks best with or without swimming pool for its private use. 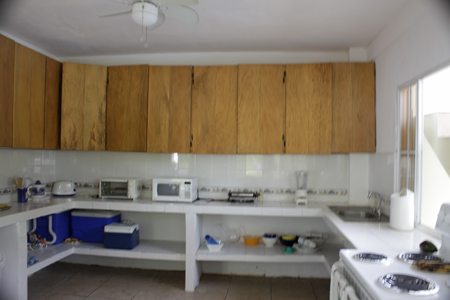 The property for sale has a two floors house and is being sold with the entire forniture. So, all its showed comes with the property. 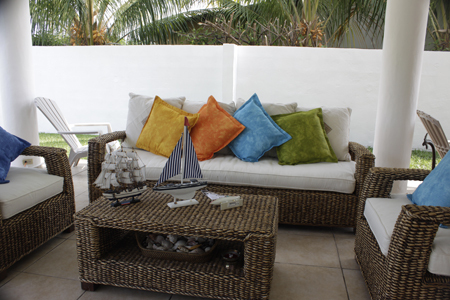 First floor has on open space that works as a Living Room, there is also the Service Room with space to put on a bed. There is also the Kitchen Room.